Hey U-Creaters! 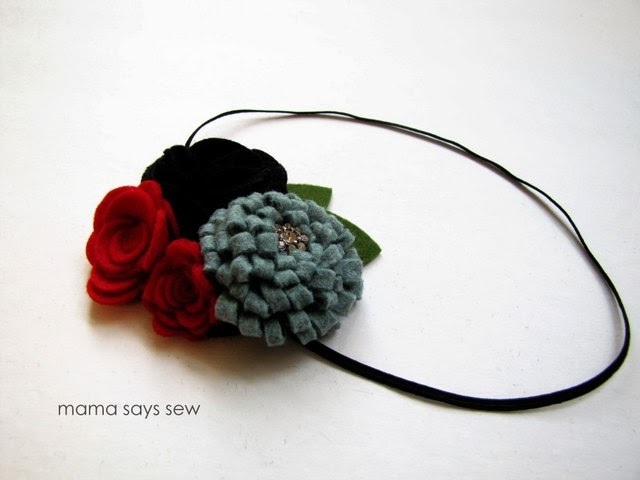 I’m Terra and I blog over at mama says sew. 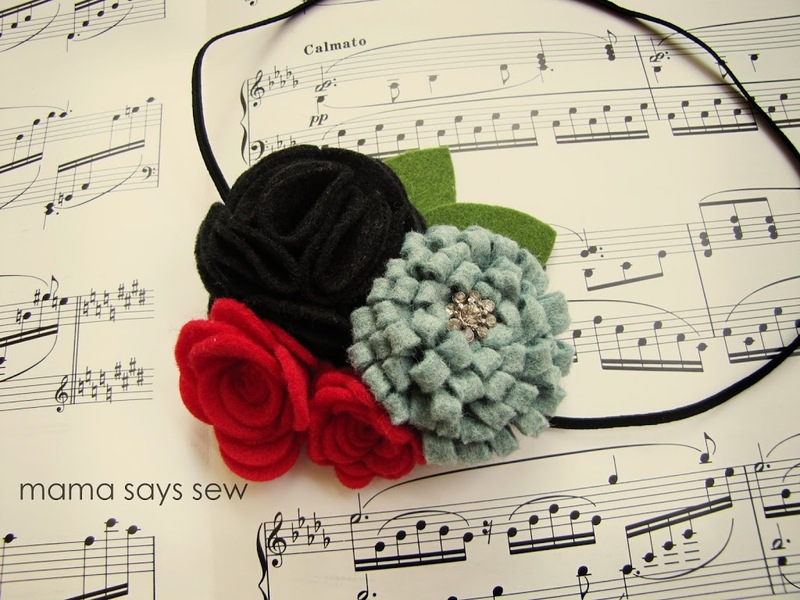 I’m here to share the tutorial and pattern for this pretty Christmas headband. I made it for Christmas, but you could easily switch up the colors to make it for any time of the year. 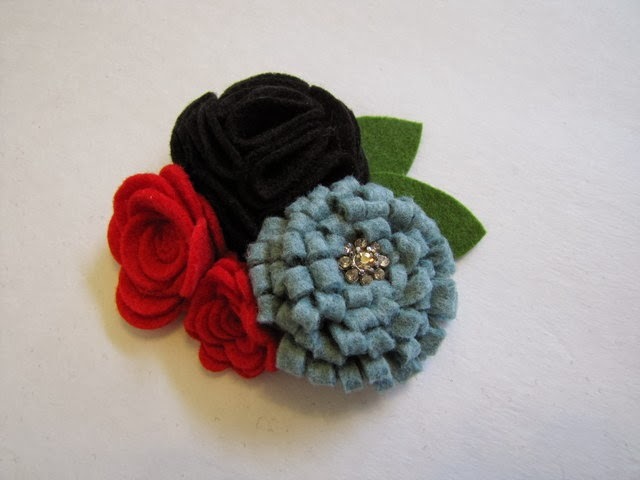 I used several different felt flowers, and you could easily switch the number and size of the flowers to make your own custom design. 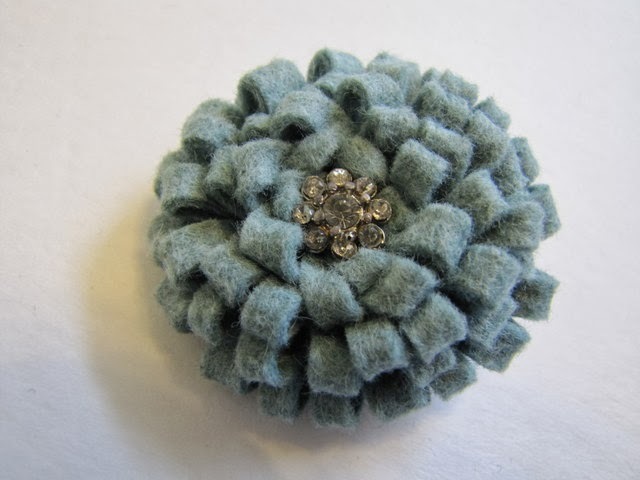 First, go here to download the free PDF pattern. Note: I have a die cut machine that I used for the spiral flowers. I just drew something similar for the pattern, so it won’t be exactly the same. 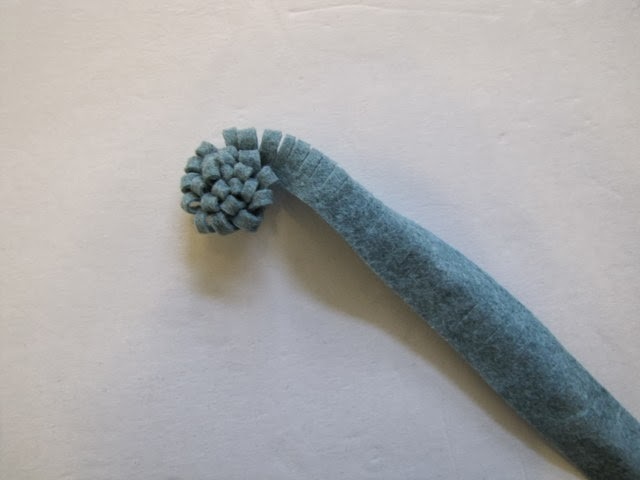 Cut out your spiral flowers and roll them up, starting at the outside edge. Secure with glue. 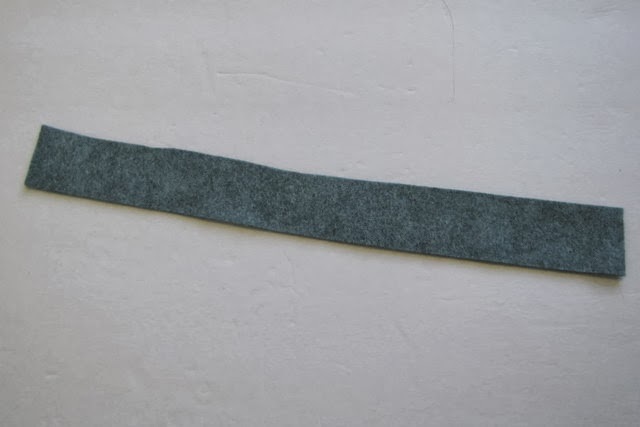 Cut a strip of felt approximately 12 inches by 1 inch. Fold in half and snip on the folded side. 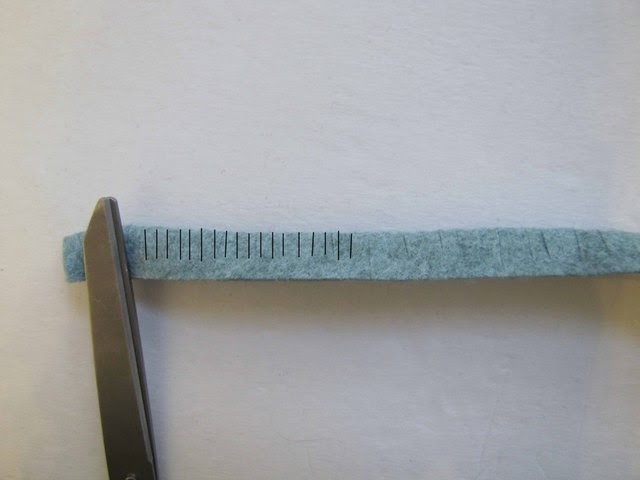 You need to snip the whole length of the felt strip. I just got tired of drawing the lines. Roll it up, securing with glue as you go. 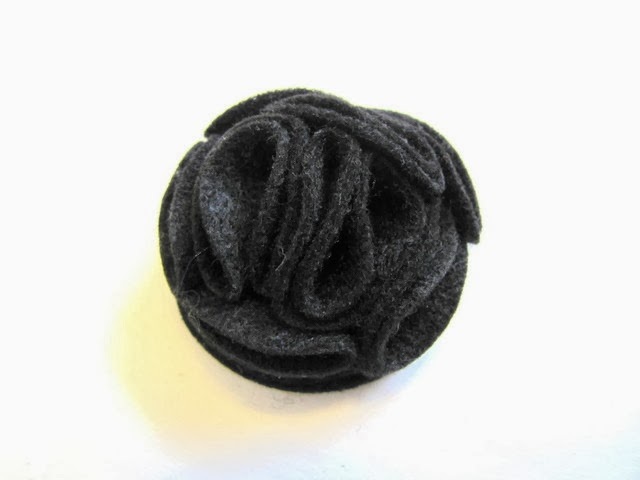 Separate the felt and add a button in the middle. 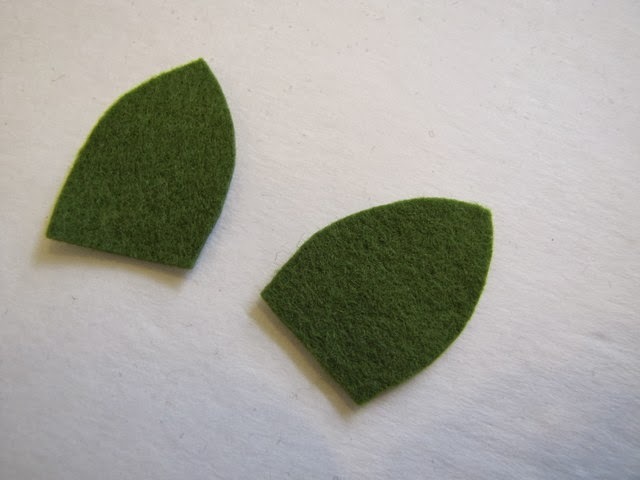 For the last flower, cut out 8 circles, plus another one to use as the base. 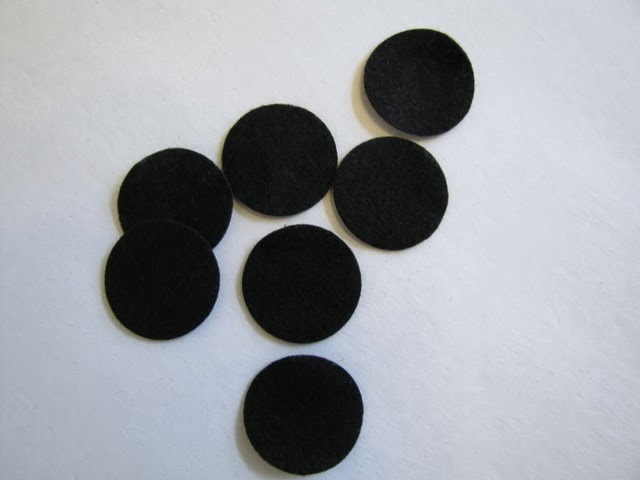 Then fold each circle into fourths, and secure it with glue. Then glue all 8 circles to the base. 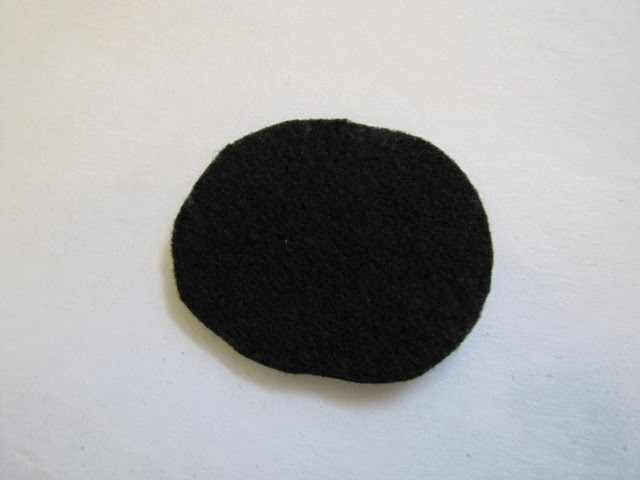 Cut out an oval of felt to use as a base. You don’t need to be precise. If it’s too big, you can trim it later. Arrange everything how you want it and secure to the base. You want to really squish everything on there, so the base doesn’t show in between flowers. Flip it over and glue the skinny elastic to the back. Make sure the elastic doesn’t twist. 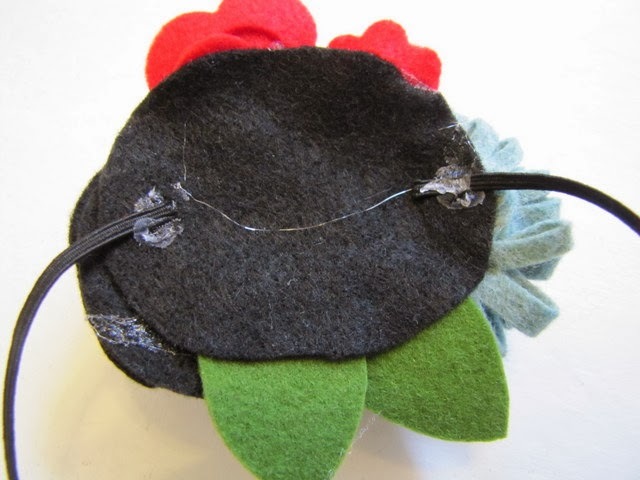 Cut out another oval of felt and glue it to the back to help secure the elastic and hide the messy glue. 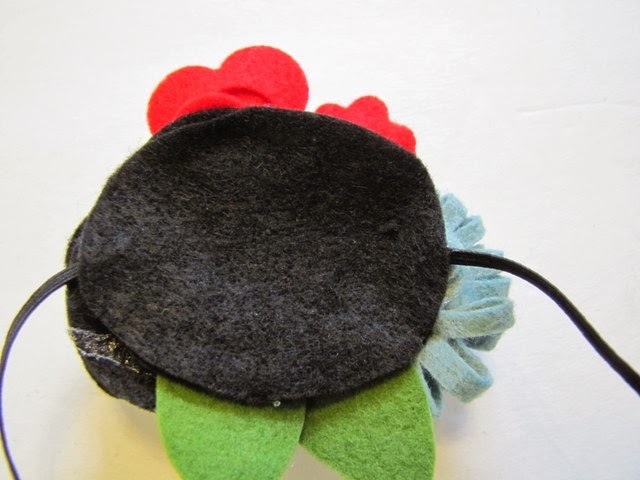 And here’s the finished headband. Isn’t it pretty? 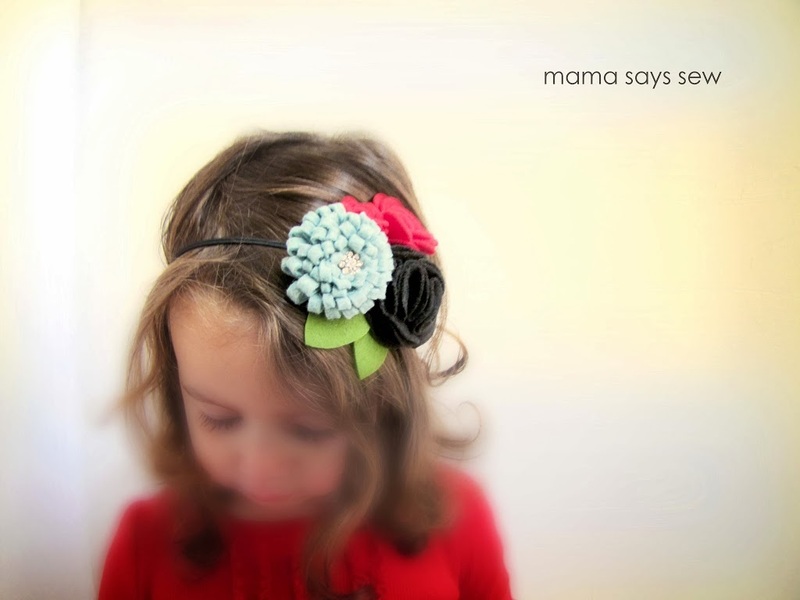 You can come visit me at mama says sew for more tutorials and the occasional free sewing pattern. Thanks for having me on U-Create today Kari! DIY Holiday Cork Trivets DIY Simple Mini Wreath Ornaments Gold Dipped Feather Ornament Tutorial DIY Spring Floral Arrangements Wooden Nativity Set – 2 Different Looks! Where do you find skinny elastic like that? I would love bright colors too. So pretty! Great tutorial too. It is easy to follow! 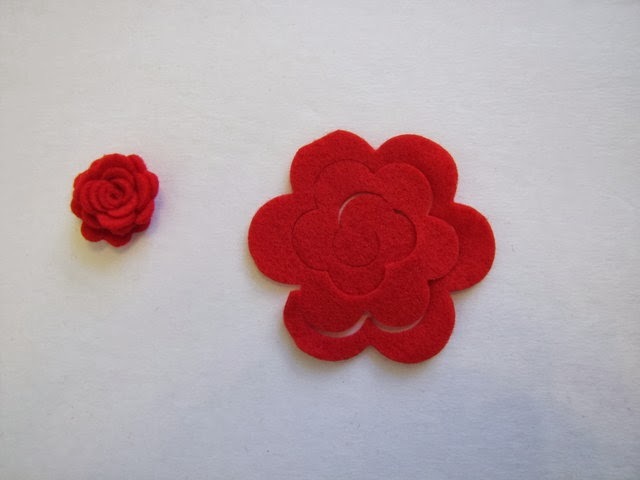 which die cut did you use for the spiral flower? Adorable! I love this so much! !